I've been looking forward to the release of Oxford Rail's cattle wagon for some time, and had intended to write a review of it: however this blog also looks a little at why the Oxford Rail cattle wagon has taken a bit of a beating in the model railway press recently, and particularly on forums, and whether it is fair. To caveat this I have to say that this is probably the first time in a long time that I have to switch allegiances in a debate and head over to the side of "are we modellers or not?" from my long standing consumer orientated part of the debate. Normally if a model wasn't quite there in terms of accuracy I'd lament this - and there are indeed a couple of lamentable design choices on this model - but that does not in any way, shape or form, detract from what is in the main an excellent model of a very specific diagram wagon. It's so specific, you can find a photograph of it on page 291 of An Illustrated History of LNER Wagons. It's a diagram 39, 10 ton cattle wagon, built at Doncaster in 1927. It's the 9ft wheelbase version and there is an elevation drawing on page 293 of the same volume. For anyone so interested, on the same page is a a photograph of an unfitted version of the same diagram wagon. Minor modifications to Oxford Rail's model, including removing the vacuum pipes will produce the unfitted wagon. In fact, one could argue quite reasonably that Oxford Rail have made a model which is somewhere between its fitted and unfitted variants! The main point of contention is the missing vacuum cylinder, which should be located where the Oxford Rail branding is on the underside of the chassis. A white metal replacement or some plastic tubing will effectively finish the model off if you want the fitted version, removing the brake pipes will make the unfitted version. Looking closely at the photographs in this volume and elsewhere, I think on the balance of probability that Oxford Rail were actually intending to reproduce a very similar wagon to that seen on page 292 of this volume, particularly if you look at the sole bar and note that the "9ft wheelbase" is missing on the right hand side as you look at each side of the wagon. It has one glaring error. It's effectively used the same CAD for both sides of the wagon. These wagons had adjustable partitions and as such the partition notches (noticeable in the planks on the left hand side of both sides of the wagon) should be mirrored left to right sides, not mirrored across the diagonal of the wagon, effectively! I am in two minds about this inaccuracy. You can't see both sides of the wagon at the same time so this error is only obvious if you turn the wagon around in your hand. Secondly - no partitions have actually been fitted, so this would only cause a problem if you were going to put cattle in your cattle wagon and also fit additional detailing such as said partition. For weathering and putting to run on your layout, is this really as big a deal as people have made out? And who says you can't fix it by adding the gap between the planks, and the notches, using a small dremel cutting tool and a scalpel, and then using plasticard and filler to fill in the offending end the other side? So cards on the table time: this is a tooling with two big errors/omissions (vacuum cylinder, partition notches) which is otherwise very accurate for the 1927 built, diagram 39 fitted 9ft wheelbase LNER cattle wagon. Phew, what a mouthful! It's missing the vacuum cylinder and it has some issues with the sides, but other than that it is highly accurate in all major dimensions, details and overall livery application and is available for a whisker over £10. Now I'm not being funny, but given I've deliberately included samples of two of the main competitors (Hornby's older cattle wagon isn't currently available, but an all new Southern diagram cattle wagon is due to join their range later in the year) to Oxford Rail's new cattle wagon in this review, and noted their prices, the clamour to condemn, berate and bemoan the Oxford Rail model in a number of locations on the internet is in my view a total disgrace. It's the cheapest of the three main cattle wagon models available, and it's the only one which is close to reproducing the diagram it purports to represent. Bachmann's model is derived from the short Mainline LMS cattle wagon, Dapol's GWR inspired one is over lumpy, with very coarse detailing and to be brutally honest, given the number of times both samples derailed on straight sections of track (never mind the curves or points!) possibly the worst running ready to run wagons I've ever come across. £10 for the Oxford Rail model is an absolute bargain. Much of the criticism for the Oxford Rail model has come from the recognition that the BR liveried one is unlikely. Except it isn't, because on page 291 of the volume I'm referring to, low and behold there is a 9ft wheelbase LNER cattle wagon in the same livery as Oxford Rail's! Where the criticism is valid (and this is key) is that Oxford have only tooled up one version of the cattle wagon, and that is the one which represents the 1927 as built and probably pristine wagon, without any of the later additions such as the additional bracing and strapping applied to keep the wagons in good order that can be seen in photographs of BR or late LNER era wagons. I'm genuinely mystified by the response by normally well respected LNER modellers as well. There's one in particular who berated Hornby for not producing the LNER Q6 in pre-war livery who is now complaining because Oxford have produced their wagon in pre-war form and livery! This model is the best LNER cattle wagon produced ready to run. It's also the first and only one to a specific and recognisable diagram, in a recognisable livery and with only minor modifications (as far as I am concerned!) to make it an excellent model. I'd read people's views across a number of forums and I was pretty surprised at what I was reading. This was prior to doing any research. One contributor in particular had picked out "about 30 errors". It's a pity that, on closer observation, his "30 errors" are limited to the British Railways liveried model - that number gets reduced to around two or three when you look specifically at the LNER liveried model and think of this model has having been designed in the context of the 1927 diagram 39 wagon. Should Oxford have made the 10ft wheelbase cattle wagon instead? Probably, it would have given them greater coverage for liveries and it was the more numerous wagon. Does it make enough of a difference for an LNER modeller to not buy this model? Probably not either. What about other region modellers? These cattle wagons, though comparatively rare throughout their years in comparison to either LMS or Southern and later BR variants, will look a good addition to a mixed goods train. Let's face it, the big four's wagons got around. Okay, it's unlikely to have made it to deepest, darkest Wales or Cornwall but up the Midlands and the North of England, to the east of England and Scotland? Possibly. It has potential. I know I need the 10ft wheelbase as a post war LNER modeller. This 9ft wheelbase model is a great starting point for making that wagon type. There's a very enterprising modeller on one of the forums who, I am told, has converted Oxford Rail's model into one of these already. More power to his elbow. Excellent work. For the rest of us who want a cattle wagon that looks the part and has the modelling potential, this is it. 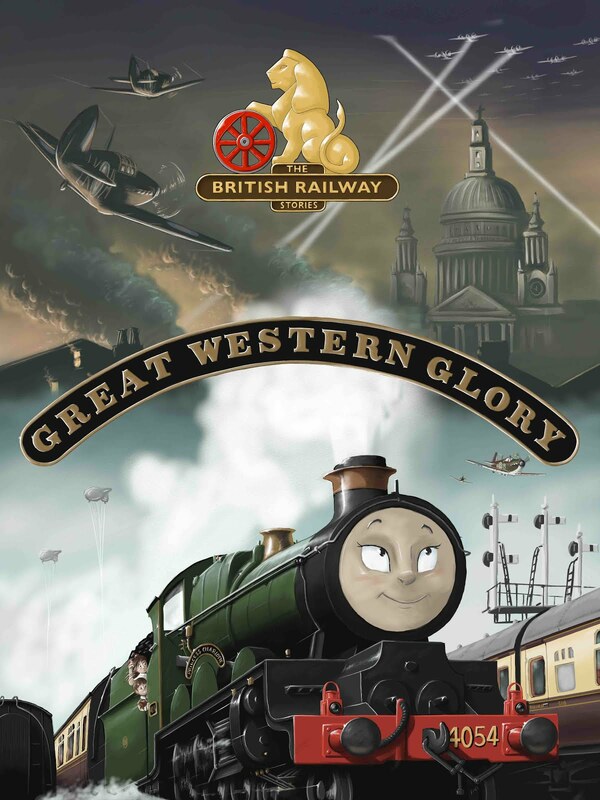 The release of the century for LNER modellers. A gift horse (or should that be cow?) we shouldn't be looking in the mouth, unless it's to improve its lot. I'm all for criticism where it is due. I feel this model has had a lot of unnecessary criticism. But at that price point, with the very nicely moulded body, and options available to me to make it better and do some modelling, I'm not going to dismiss it out of hand. Especially not when it's the best model for my needs, and I suspect for the vast majority of LNER modellers up and down the country. I leave you with a short video. You make up your mind as to which of the six wagons in the train you think looks the part. The emphasis is mainly on the Oxford Rail model of course, but compare the Bachmann and Dapol models and their prices to this one and have a think if ignoring the Oxford Rail model is really sensible consumerism as well as sensible LNER modelling.